Tailor your screenplay to sell. 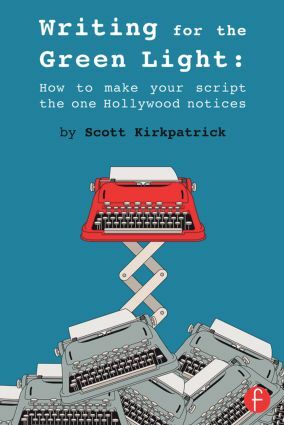 Find out what Hollywood script readers, producers, and studio executives want in a screenplay (and why) from someone who's been there. Discover what it takes to begin a lasting career as a screenwriter. - Who actually reads your script? - How do you pique the interest of studios and decision makers? - What do agents, producers, and production companies need in a script? - How much is a script worth? - What are the best genres for new writers and why? - What are real steps you can take to 'break in' to television writing? - How do you best present or pitch a project without looking desperate? - How do you negotiate a contract without an agent? - How do you exude confidence and seal your first deal? These and other insights are sure to give you and your screenplay a leg-up for success in this competitive landscape! Scott Kirkpatrick is the Director of Distribution for MarVista Entertainment, a Los Angeles based production and distribution company that produces original Lifetime and SyFy channel films, co-produces TV movies with Disney and Nickelodeon, and has managed international TV deals on major franchises including Mighty Morphin Power Rangers, Digimon, and Julius Jr. Scott has also produced and directed TV series and feature films including Eye for an Eye, Muslims in America, and Roadside Massacre.